A fable/folktale from Indian mythology. Would you like to play with a large, red, fiery ball? Young Hanuman wanted to do just that...except that the ball he went chasing after was the sun itself!! A fable/folktale from Indian mythology. The Prophecy says that the eighth son born to Devaki will bring about the death of the evil king, Kamsa, and redeem the kingdom of Mathura. But Kamsa has imprisoned Devaki and sworn to kill every child born to her. A fable/folktale from India from the Panchatantra. One fine day, Chandarva, a small jackal, wakes up to find his fur all blue. 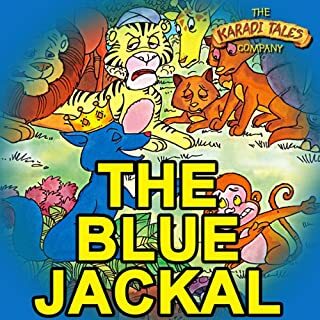 Listen to this hilarious story from the Panchatantra to find out how the blue jackal uses his color to his advantage. 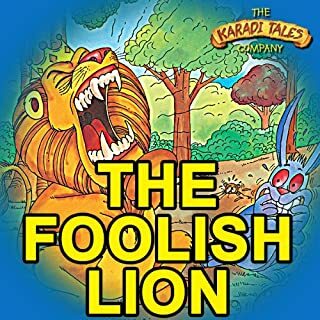 A fable/folktale from India from the Panchatantra. Budhu Raj the evil lion-king has all the animals under complete tyranny. Every day, an animal offers itself as food to the lion, until it is the turn of Chatura, a crafty little hare. Will Chatura escape the clutches of the evil Budhu Raj? A fable/folktale from India from the Panchatantra. 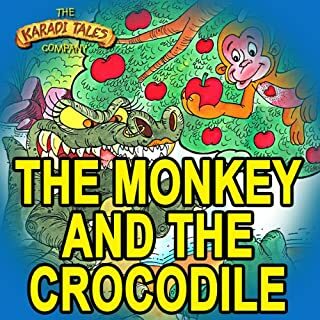 In this ever popular story from the Panchatantra, Mrs. Jagged Jaws the crocodile has developed an appetite for a monkey's heart. Will her henpecked husband Mr. Jagged Jaws meet her desire? A fable/folktale from India from the Panchatantra. Dhondu, the donkey, thinks he is a wonderful singer. His friend, Juno the jackal, thinks otherwise. Find out how Dhondu's irresistible urge to sing lands him in big trouble one night. 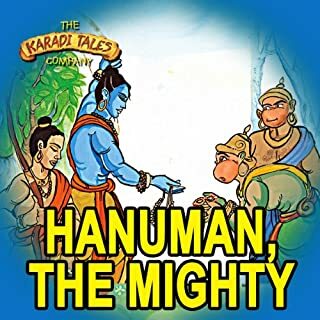 A fable/folktale from India from the Panchatantra. In this delightful story about friendship and loyalty, a set of four unusual friends - a tortoise, a mole, a deer, and a crow - join forces to outwit a hunter. A fable/folktale from India from the Jataka. The King of Benares and his army have arrived in the monkey kingdom in search of the mango. Can Kapi, the monkey king, find a way to protect his subjects? A fable/folktale from Indian mythology. Where there is Krishna, there is music, mirth and mischief...and plenty of adventure, too. 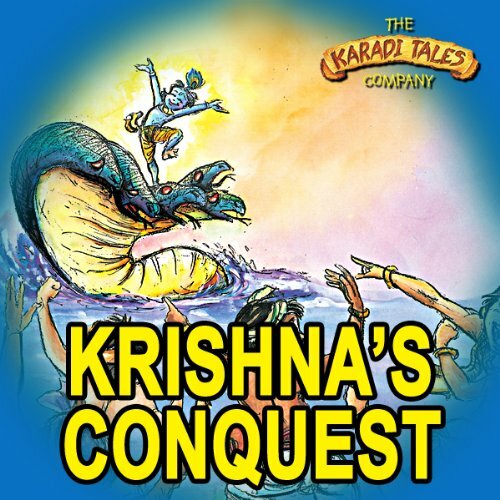 Krishna shows that he is no ordinary child through his encounters with Kaalia, the deadly serpent; Indra, the rain-god; and eventually the evil king Kamsa! 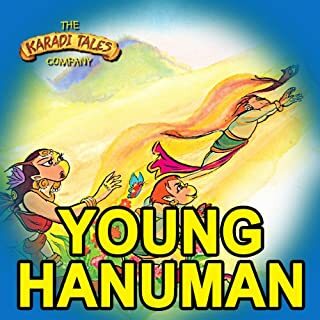 ©2000 Karadi Tales Company Pvt. 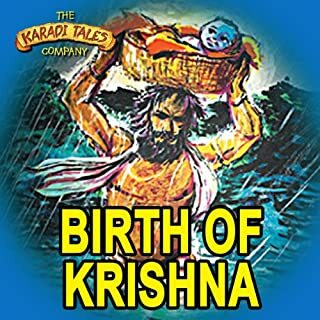 Ltd. (P)2000 Karadi Tales Company Pvt. Ltd.
Good story for kids. it seems to be made to go along with a paper book, like a book on tape. we didn't have the paper book but it was still entertaining.